The Dublin Pinnacle Grain Boots are waterproof & breathable, fashionable lifestyle boots with lacing system and touch tape closure for full adjustment. 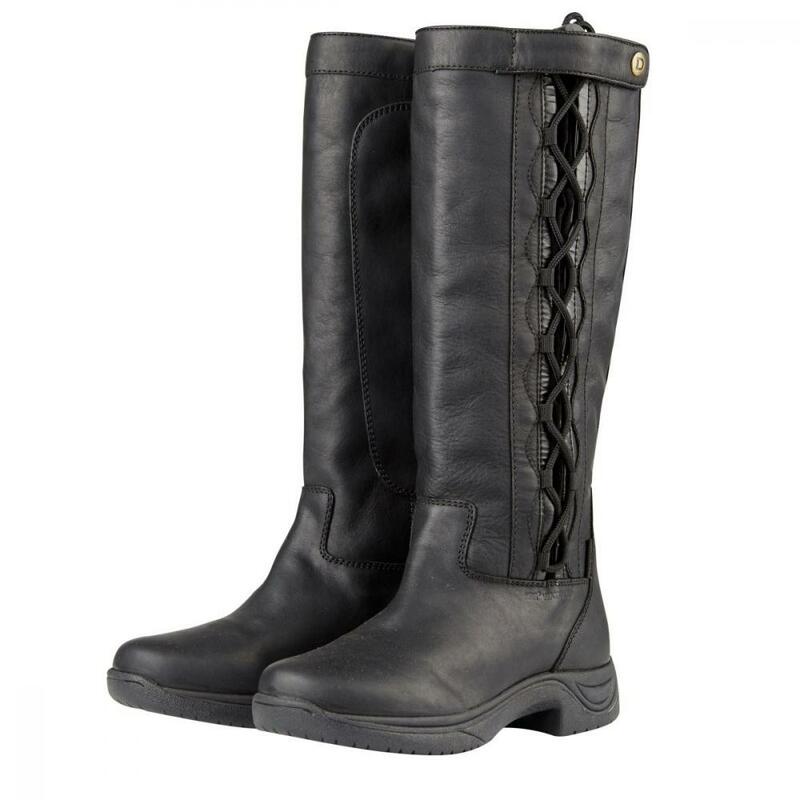 The boots feature HBR® Waterproof and breathable nylon lining. Full grain leather upper with lace adjustment. RCS footbed system, heel and arch supports with double cushioning layer for great comfort. Suitable for the larger calf. Durable Tough Tech rubber outer sole. With HBR for waterproof protection from the elements and breathable to keep your feet comfortable and dry. The Rider Comfort System (RCS) Triple density footbed system features padded heel cushions, cupped heel & arch supports for comfort and stability. Sweat control lining to keep your feet cool and dry. The Tough Tech durable rubber sole, provides lightweight flexibility and Traction Control Grip. Full grain leather upper with lace adjustment. Suitable for the larger calf. Durable Tough Tech rubber outer sole. 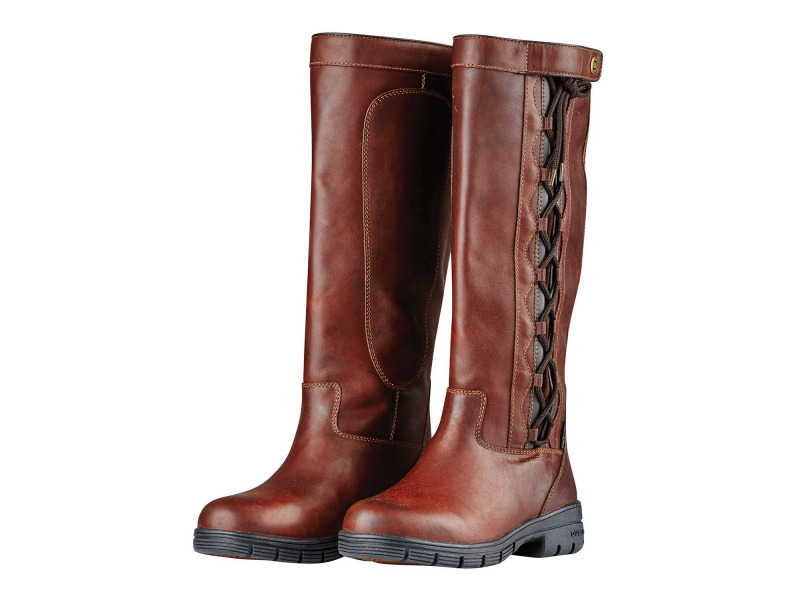 There are currently no questions for Dublin Pinnacle Grain Boots - be the first to ask one!